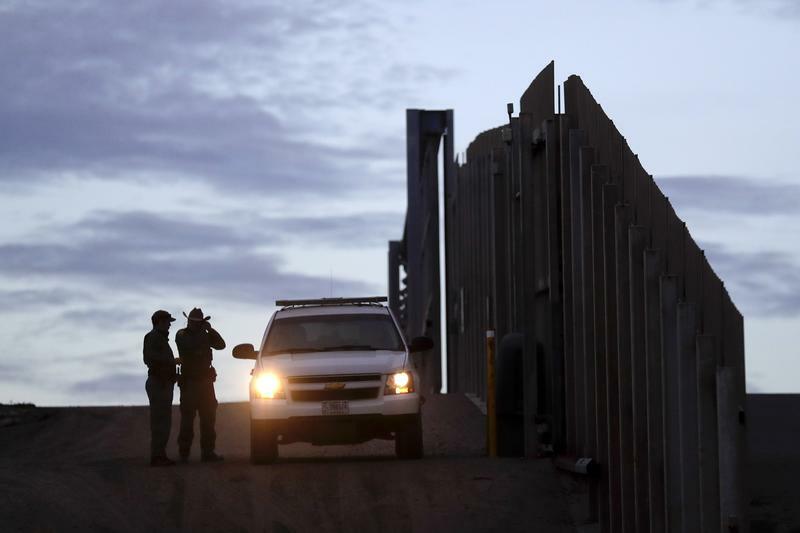 United States Border Patrol agents stand by a vehicle near one of the border walls separating Tijuana, Mexico and San Diego Wednesday, Nov. 21, 2018, in San Diego. BOB GARFIELD: Diego Salazar hopes we can learn from our errors. Modern history suggest it's unlikely. It was only in 1939 that Cuba, the United States and Canada turned away the SS St. Louis–sending 900 Jewish refugees back to Nazi terror. Since 2015, governments across Europe have moved to close their borders and reject Syrian refugees. To say nothing of other displaced populations around the world such as the Palestinians. New Yorker staff writer, Masha Gessen, says, 'that for refugees, being in limbo, constantly waiting, typifies quote 'a defining condition of powerlessness in the modern world.' But if the power to offer refuge is in the hands of the hostile, the indifferent, the selfish or simply overwhelmed. Who else is complicit? 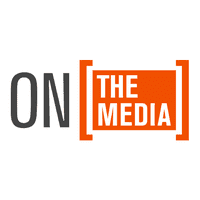 In a speech this week, Gessen said, 'the media share responsibility for failing to fully communicate the scale and the horror of the crisis.' She joins us now. Masha welcome back to OTM. MASHA GESSEN: Thank you. Great to be here. BOB GARFIELD: Whether we're speaking of Hondurans in Mexico, or Syrians in the Netherlands, or Venezuelans in Peru, or–for that matter–Russians in the United States, the individual stories are often so wrenching. We covered the impact of migrants on the host society but we somehow fail to grapple with the horror that they're fleeing. War, crime, racism, sectarian violence, starvation, whatever might be compelling them to give up everything to start with absolutely nothing somewhere else. And maybe in a society more hostile than welcoming. It is kind of hard to fathom. MASHA GESSEN: Yes. There is an insidious sort of motivation behind not focusing on some of the wrenching stories. Some of the time, when extremely well-intentioned people make the argument for immigration, they do it not from the point of view of need, but from the plain view of contribution. There's a widespread well-intentioned argument of immigrants are good for the society, they're good for the economy, they're productive members of the society, they pay taxes. Which I find highly objectionable because I think that their arguments should be, not that the immigrants are good but that we're good. This society has an obligation. It should be at least good enough to meet its international obligations to asylum seekers–at least that good, preferably better. BOB GARFIELD: I should note that you were the recipient of the Christopher Hitchens prize very recently which is awarded for a quote 'commitment to free expression and the pursuit of truth without regard to personal or professional consequence.' One of the most poignant passages of your acceptance speech concerned journalistic power. And you noted that your coverage over the last few years actually influenced the outcomes of certain individual cases. And yet these experiences haunt you. Why? MASHA GESSEN: I'd say there are at least three stories that I have written in the last year that probably had a better outcome for the people I wrote about than if I hadn't written about them. In one case, somebody was able to avoid deportation. In two cases people got asylum. There's nothing better for an asylum claim than having a high profile journalist write about you in a high profile publication. To be honest, I find it more terrifying than gratifying, in part because I'm also aware of the stories I haven't written–these are not abstractions. I know which stories I haven't written. There is a story that I was following, but I haven't written, about several men from Russia who are on hunger strike at a detention facility in Oregon. And one of them died last week. There's a story that I have written about two transgender women from Chechnya who managed to smuggle themselves across the border with Mexico and have been in a detention facility in Chicago for awhile. There's a story I haven't written about a couple of gay academics from Russia who have been separated now for about a year. I haven't written those stories because I've been writing other stories. And because these stories, one story is a little bit more difficult to report than than other stories, two stories are a little bit less dramatic than other stories that I have written. However, I frame it I'm engaging in a kind of calculus about what I'm going to write and therefore who might benefit from being written about. BOB GARFIELD: You have a suggestion for solving that not enough of Masha Gessen to go around problem. MASHA GESSEN: It's not just not enough of Masha Gessen to go around problem, it's also the problem of tackling this overwhelming issue of displaced people by writing representative stories. So my proposed solution, which is probably impossible but I propose would try it anyway, is inspired by the New York Times coverage of 9/11. If you remember, the Times ran small biographies of every single person they could identify who had died in the Twin Towers. And I think, the logic behind that was that there was no single story or no set of stories that could be stand in for a tragedy that was particularly horrifying because of its scale. The Twin Towers was an unimaginable but measurable problem of scale. The same is true with immigration. It's unimaginable but it's also measurable. What if we tried to write all the stories of immigration. We can't run 65 million stories, that is not physically possible. But we could for example write about nothing but immigration for a day and then we can do it again. And maybe that would go a way toward conveying the scale of the problem. BOB GARFIELD: Is this idea to be taken literally? MASHA GESSEN: Yes, this idea has to be taken literally. But we could ask the same for climate coverage, or racism or misogyny, dictatorship, malaria. All these horrendous conditions that never get their due in the New York Times or anywhere else because there's so much horror of every variety out there. Journalism is, of necessity, a game of picking and choosing. My question isn't only is it really doable, my question is, is it even fair? MASHA GESSEN: You know, that question is actually weirdly enough a variety of whataboutism. This is not a suggestion of a change in approach to journalism in general. And I'm not saying that every time we face a problem of coverage or a problem of the inadequacy of journalism here. 'I have come up with a solution. We could just like to write about nothing else for a day.' I'm saying, here's an idea that I think might go way toward doing our job better on this particular issue. And this particular issue, I think is important enough, and by important enough, I mean that the presence of 65 million displaced people in the world is something that is destroying the world. It is destroying the lives of those 65 million people who have been rendered less than human. It is destroying the politics of entire countries–and the world as a whole. Because you can't have politics when 65 million people have no political rights. It is enough of a crisis, and yes in that sense I think it is comparable to climate change, it is enough of a crisis to do something that is absolutely extraordinary. So here this one idea of doing something absolutely extraordinary in journalism that will perhaps be helpful. And at the very least, it will be helpful to the many people who will end up receiving the benefit of that coverage. I'm sure it's not the only solution, the only possible solution. In fact, I'm sure it's not even a solution. BOB GARFIELD: Yeah. In fact, let me ask you about that. Putting aside what-about-ism, let's just assume that this proposal is never actually going to materialize–that the world's press is not going to put aside everything else for one day to talk about immigration. Let's just assume that because planes crash and, you know, politicians get assassinated. Short of that, what else can we do as an institution, on a large scale, to see that the stakes for societies and just plain humanity are well understood. MASHA GESSEN: You know, I think I prefer to not answer that question. You know, my suggestion is probably insane and you're probably right. It is a fair assumption that it's not going to happen. But this is the suggestion I have made. So I'm not going to go sort of, 'OK this is my plan A and here's my plan B which is easier to implement. I think, you know, at least for the next few days, I'm sticking with plan A. BOB GARFIELD: Well, Plan A is a fetching plan. BOB GARFIELD: Masha, thank you very much. BOB GARFIELD: Masha Gessen, the recipient of the Christopher Hitchens prize, is a staff writer for The New Yorker. BROOKE GLADSTONE: Coming up the Hanukkah story. A heroic battle against extinction by a brave and united people? Maybe not.